Ok so it’s not as glorious or award winning as it sounds- I was picked as the person on my table to go in a blind folded wine tasting competition… and I didn’t win! But I had so much fun! Master Wine Challenge 2013 was hosted at the River’s Edge Events room in Melbourne by the wonderful team at Hurrricane Events. I had a great time last Thursday 16th May. 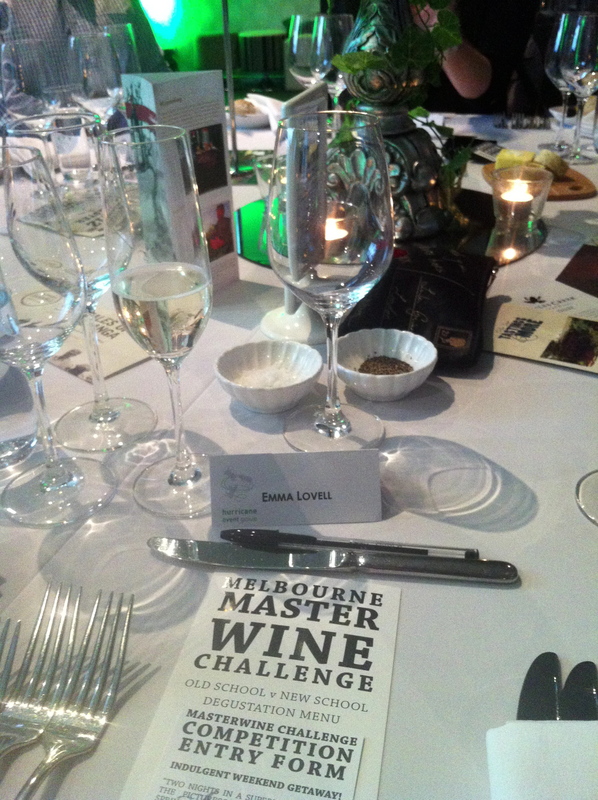 I was proud to be asked to attend again after having a wonderful time at last years Master Wine Challenge Event at the Crown Casino in Melbourne. Last year we were there to mingle and be an honoured guest of Hurricane Events. This year I was there with my Lovelly Communications hat on as social media advisor to Hurricane who recently launched their Social Media Campaign. 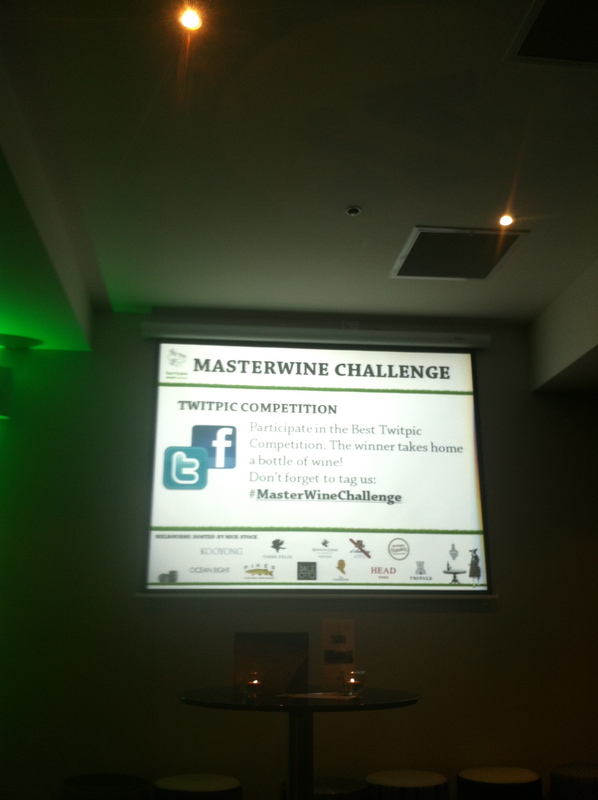 Very impressed to see them hosting a Twitpic competition on the night with lots of entries coming through on #masterwinechallenge. 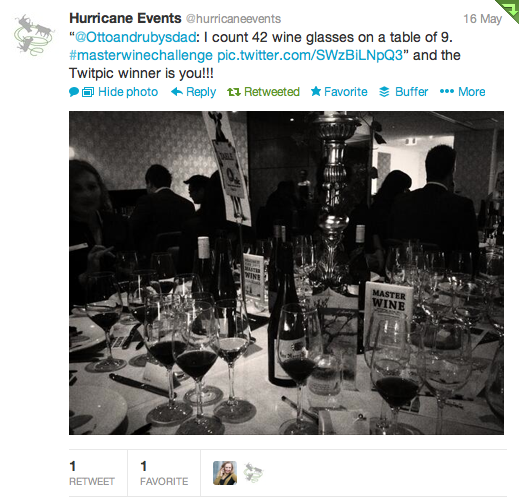 I was like a proud mumma bear of Social Media– Well done Hurricane Events! 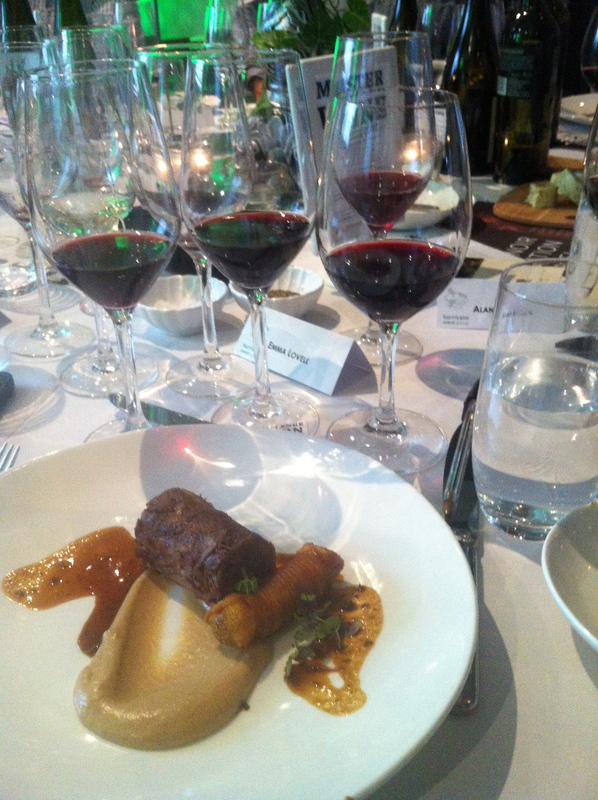 Great wines, 5 course degustation food, competitions and fabulous people. Oh and incredible view of the beautiful Melbourne riverside. What more could you ask for at an event! 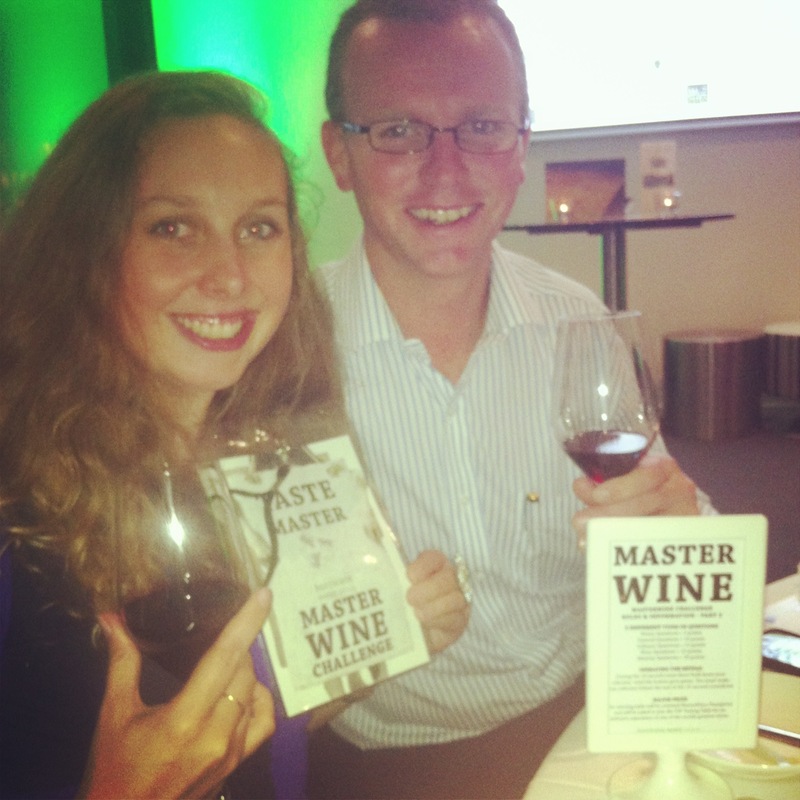 An expert wine master was on hand to host the night and teach us about the wonderful grapes we were sampling. Nick Stock (@stockwines) is not only a wine conneisseur, but a wine expert and he now owns his own label TwoFold. Brilliant riesling. 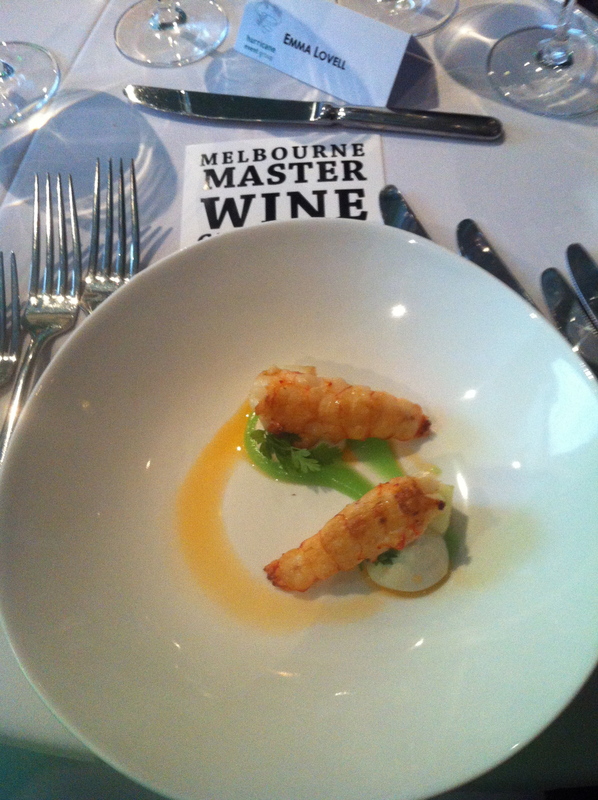 Loved the food, loved the company and was even invited to be the Taste Master for a special competition. Blindfolded on stage sampling a beautiful red wine. I didn’t win but we had a whole lot of fun taking part. Thank you Hurricane Events and we hope to see you next year! All the best for the rest of the events around Australia.